It rained last night. Between my house and the store I needed to go to this morning I had to ride down a dirt road and through several low-lying areas. And, I had to do all of this while dressed in a white shirt and khaki pants. Days like today are why I am glad to have a bike with fenders. Unless a bike is specifically made for touring or commuting they don’t usually have fenders on them. That is unfortunate. Sometimes mountain bikes will have small fenders on them that will keep the majority of the mud out of the rider’s eyes, but other than that they are practically useless for keeping the bike and rider clean. A bicycle is a machine with moving parts. Water, dirt and general road grime aren’t friendly to a bicycle. That’s not to say that a bike is so delicate that it should never be ridden when there are rain clouds in the sky, but there is no reason to continuously dump dirty water into the bearings, chain and sprockets of your bike. Bicycles have lubrication that can be stripped away with the petroleum products on the road that are mixed in with the water and mud that get slung from the bicycle’s tires when riding on a wet road. Chains will wear more quickly if they are not kept properly lubricated. Derailleurs operate within fine tolerances on bikes that have many gears. When they don’t move smoothly you may have trouble shifting. The headset of your bike is often exposed to the gritty, sandy water that is tossed up from your front tire. The lubrication on your brake and shifter cables can be washed away too. By using a set of fenders on your bike you can keep it operating in good condition with less maintenance. Clean rain falling from the sky is not as damaging as the gunk kicked up by your tires from the road. I was thankful for fenders to keep me clean and dry on my trip to the store. If you have fenders that go far enough down the back of your front wheel you don’t even have to worry about your shoes getting wet. I intentionally rode through puddles for fun to splash in the water, but was not concerned for my shoes or clothes. Most of the time you probably don’t ride while it is actively raining. But it can take hours for the roads to dry after a rain. Even if you do ride in the rain, you will be getting wet with clean water from the sky. If you have bicycle fenders on your bike you won’t get the gritty road sludge all over your clothes. If you ride in the rain with fenders and get a little wet you don’t need to worry that your clothes have to be changed because they are filthy. Clothes dry. Many bike manufacturers are mass producing bikes with an interest in profits, not functionality. 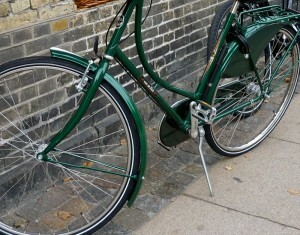 Most people buy their bicycles from large discount stores which almost never offer a choice to have fenders. However, you can buy after-market bike fenders for just about any bicycle fairly cheaply. Your local bike store will have several models to choose from as well as places like Amazon. 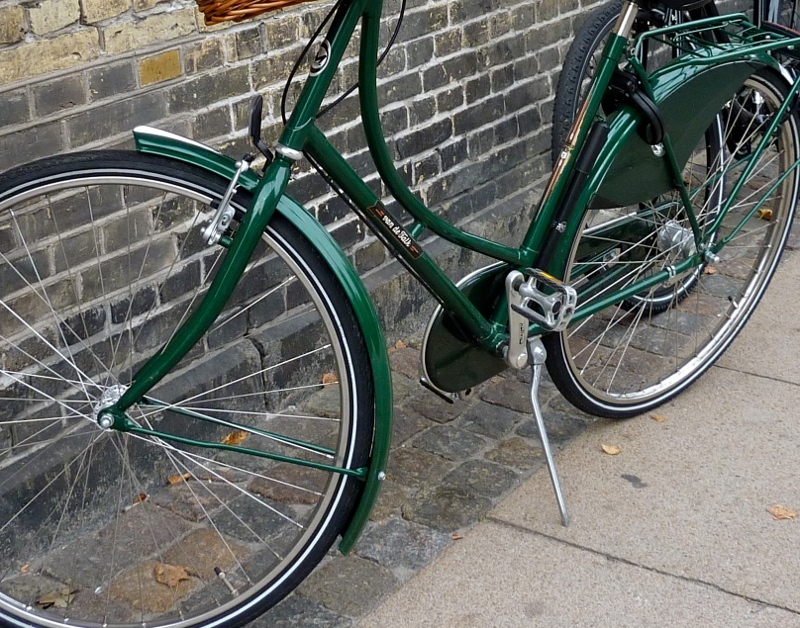 Bike fenders are not “cool,” but they are practical. While you don’t want fenders on your road racing bike because of the weight and drag, getting a good set of fenders for your daily driver is a good idea. They will keep you and your bike clean.